If you’re anything like me then your first thought in the morning is: “I’m hungry.” Yep, on the weekend my stomach is my alarm clock! Well… if I’m honest it is any day of the week, but the weekend is an opportunity to make a thing of it: to take time and enjoy something a bit more special than a rushed piece of toast or a coffee drunk purely in the name of waking the hell up. 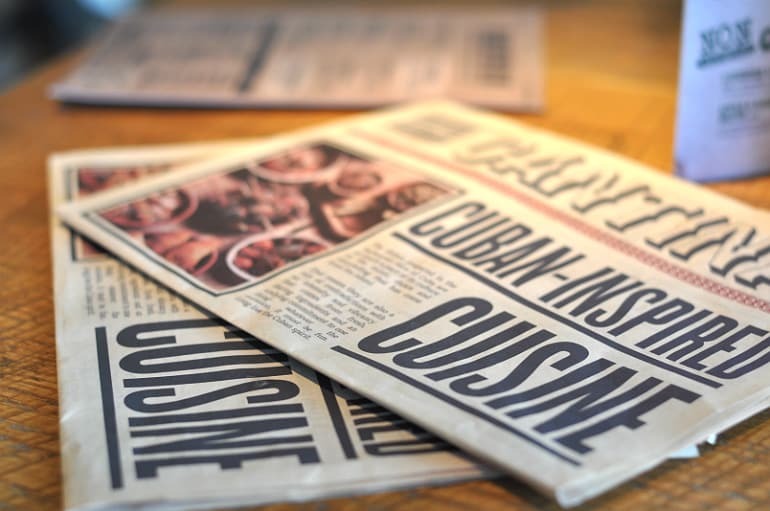 Revolucion de Cuba has just launched a brunch menu and invited me down to try it. 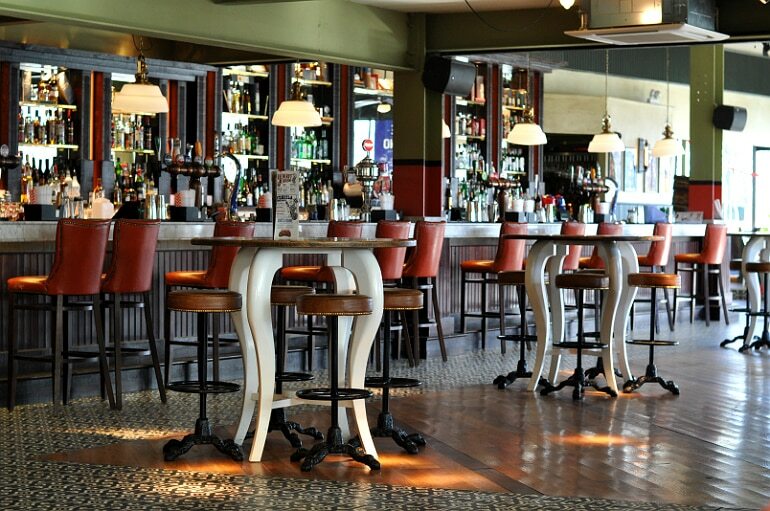 Visiting the restaurant and bar for the first time in daylight reaffirmed what a nice space I think it is. We were seated in sunshine with fans whirring above our heads and lively Cuban music playing. It felt infectiously Summery and for a short while I forgot that it was Winter. 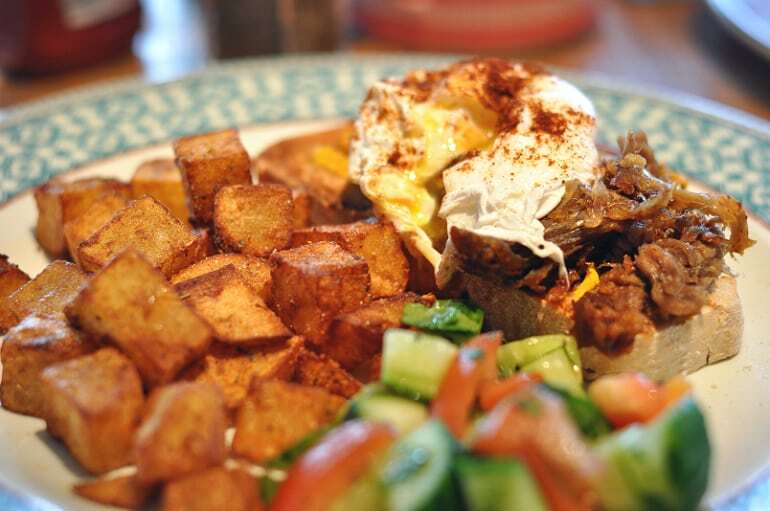 The menu has everything you’d expect of brunch, with Cuban twists such as pulled pork on your eggs and even a breakfast burrito. There’s a lovely selection of cocktails too, which I resisted in the name of dry(er) January and opted instead for a Cuban coffee. Lovely, huh? 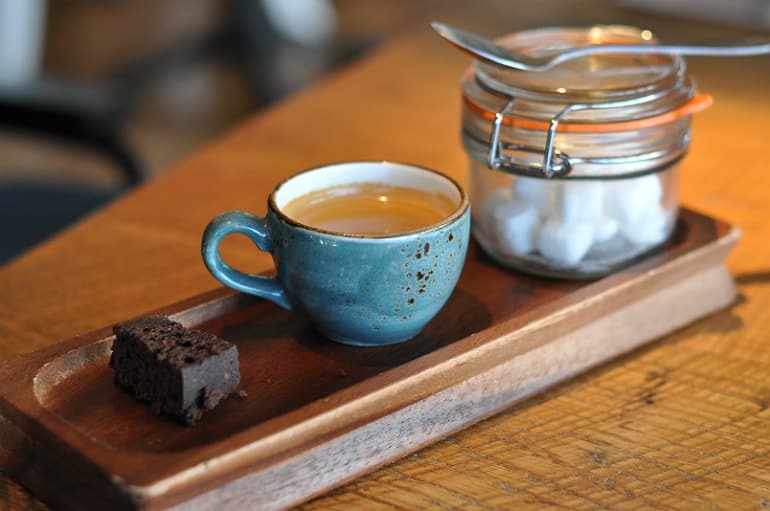 A complimentary nibble of rich and chocolatey brownie certainly earned some, er.. brownie points! My coffee was strong and smooth. I ordered the Avocado Brunch: sourdough toast topped with smashed avocado and poached egg, and Q went for the Cubano Benedict: toast topped with pulled pork, poached egg and Hollandaise sauce. 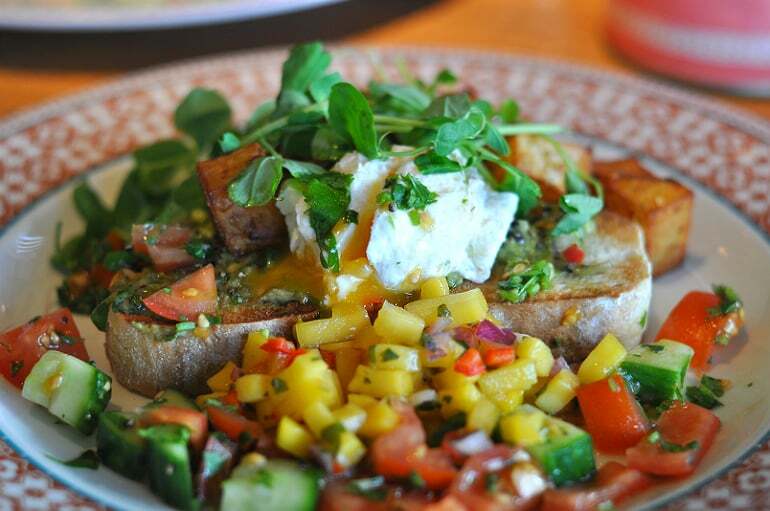 Our brunches arrived a vibrant and colourful whirlwind on a plate; mine in particular was a busy array of enticing mango salsa and garnish along with a side of filling, spiced potatas. But among this rainbow I couldn’t help but wonder: where is my avocado? I discover it is a thin spread of green paste on my toast and I’m disappointed. The smidgen I was served was tasty and well seasoned, but there just wasn’t that satisfying, thick topping I would have liked. After all, avocado should be the main event in an avocado brunch, right? It was in fact the mango which stole the show: sweet and juicy with a hum of chilli. A similar story with Q’s Cuban Benedict, this time we were wondering where the Hollandaise had got to. Dry save for a sad drizzle on the toast, applied with the same reserve as if it were English mustard. In my opinion the joy of a Benedict breakfast is how wonderfully rich and saucy it is! This dry version welcomed the yolk of the egg on the overcooked pork. Hmm. Close, but no Cuban cigar? So the food is okay, and I guess for the low prices on the menu it’s on the money; our brunches in total would have cost a tiny £9. 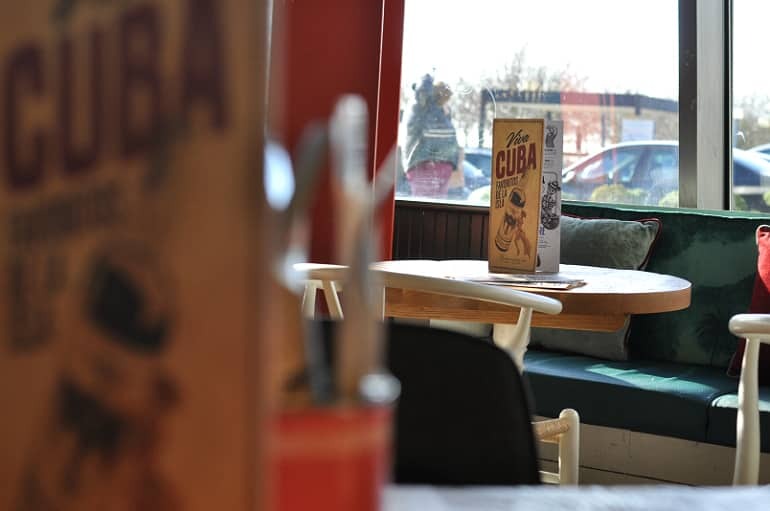 But I feel like Revolucion de Cuba should be going for something a little higher priced and higher quality. They have a lovely venue and a bar that sells niche and luxurious spirits and a more sophisticated night out. Shouldn’t the food speak the same language? I like Revolucion de Cuba. They’ve got some personality and a rum menu as long as my arm! 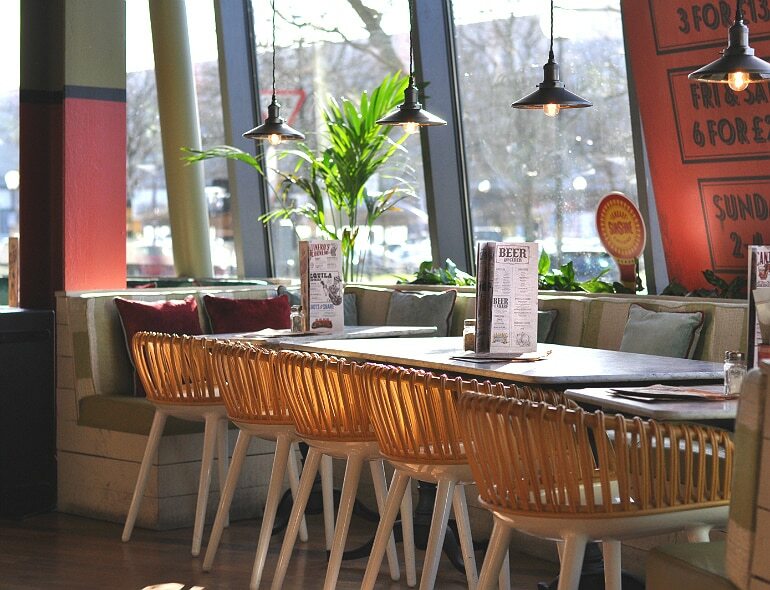 If they can smooth out the bumps in the food this will be a wonderful place for a leisurely brunch in Summertime. Just charge me a bit more and give me the whole avocado, y’know? !